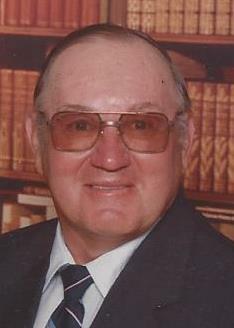 Obituary for Edward Eugene Timmons | Harold M. Zimmerman And Son Funeral Home Inc.
Edward Eugene Timmons, age 87 of Greencastle, PA departed this life on November 12, 2018 at the Chambersburg Hospital. He has fought Parkinson’s disease for 35 years, since 1983. Edward was born November 8, 1931 in Clear Spring, Maryland, he was the son of the late Newton F. and Nancy Kauffman (Ebersole) Timmons formerly of Greencastle. Edward was a farmer and also worked 29 ½ years at Manitowac Crane, formerly known as Grove Manufacturing in Shady Grove, PA in the crane test track department until retirement in 1993. In his spare time, Ed enjoyed refurbishing and restoring John Deere 296 corn planters, grain drills and making lawn ornaments and farm art from pieces of old “junk” farm equipment scrap metal pieces. Ed was also a member of the Parkinson’s Support Group of Hagerstown and SpiriTrust Lutheran Life Center program participant since 2012. Edward was a member of the Cedar Grove Mennonite Church of Greencastle and in his younger years was a member of the Williamson Mennonite Church. Surviving family are his wife Miriam C. (Martin) Timmons, whom he married on December 9, 1950; one son, Donald “Donnie” Timmons and wife Debbie (Nisewander) Timmons of Greencastle; one brother, Daniel Timmons and wife Joanne (Musselman) Timmons of Greencastle; one sister ,Dorcas (Timmons) Showalter of Menno Haven, Chambersburg; daughter-in-law Charlene (Sellers) Timmons of Greencastle; three grandsons, Trevor Ray Timmons and wife, Deborah (Bell) Timmons of Chambersburg, Dustin Franklin Timmons of Fredericksburg, VA, Aaron Eugene Timmons of Greencastle; one granddaughter, Danae Emma Timmons of Greencastle, one great-grandson, Micah James Timmons of Chambersburg and one brother-in-law, Clifford Lehman of Marion, PA and nieces and nephews and relatives. In addition to his parents, he was preceded in death by a son, Dennis Ray Timmons in October 2016, an infant brother Nathan and his younger sister, June (Timmons) Lehman in December 2017. Funeral services will be held on Friday, November 16 at 11:00 AM at the Cedar Grove Mennonite Church, 13343 Williamsport Pike Greencastle, PA with Pastors William Stoner and Warren Heintzelman officiating. Burial will be in the adjoining church cemetery. The family will receive friends at the Cedar Grove Mennonite Church on Thursday evening from 6:00 – 8:00 PM and one hour before the service on Friday. In lieu of flowers, memorial contributions may be made to the Cedar Grove Mennonite Church, 13343 Williamsport Pike Greencastle, PA 17225 or to SpiriTrust Lutheran Life Center, 840 Fifth Ave. Chambersburg, PA 17201. The family wishes to thank everyone who has helped to care for Edward ”Pap” during his illness, family, friends, nurses, doctors and everyone at SpiriTrust Lutheran Life Center. Online condolences may be expressed at www.zimmermanfh.com. Arrangements were handled by the Harold M. Zimmerman And Son Funeral Home of Greencastle.